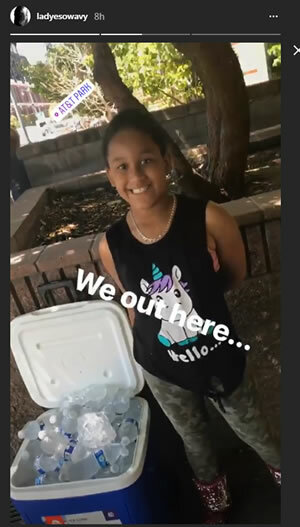 SAN FRANCISCO (KGO) -- A woman went viral after calling police on an 8-year-old girl who was selling water bottles to Giants fans outside AT&T Park. The controversial call was caught on video. The woman, later identified as Alison Ettel, said that the little girl was "loudly" selling water outside her apartment for hours. The child's mother, Erin Austin, confronted the caller. "She comes out and demands the permit for my daughter. She said if we didn't give it to her she'd call the cops," the girl's mother said. "So I said, 'Ok, call the cops.' And she did." "The lady called the police because I didn't have a permit," said the girl. "Yeah, um, illegally selling water without a permit," Ettel said. Austin posted a video on Instagram stories showing her daughter out selling water again. For more stories, pho9tos, and video that went viral, visit this page.